The objectives of this online workshop are to highlight common statistical errors made in Cochrane Systematic Reviews, and to provide guidance to help editors address these errors. 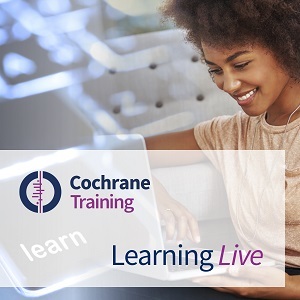 This is an exciting opportunity to take part in a virtual workshop, a new and innovative learning approach for Cochrane. The virtual workshop is a chance to learn alongside your peers and guided by experts in the field – all in an online environment! This workshop is based on the work of the Cochrane Editorial Unit (CEU) quality assurance team, that has been screening new reviews against key MECIR standards since September 2013. During the course of this work, it has become notable that many of the same errors frequently occur in the Data and Analysis section of the review. This can have a serious impact, as even the smallest statistical error can change the interpretation of the results. Examples of these common errors include data extraction errors, unit of analyses errors, and inappropriate methods of performing subgroup analyses. The purpose of this workshop is to improve participants’ capacity to identify, rectify, and avoid making these errors. The 90-min virtual workshop will consist of a presentation and work in small groups. Participants will be able to collaboratively work on examples of common errors and complete the exercises under the guidance of the workshop facilitators. The session will finish with questions and answers. The workshop will be facilitated by Dr Kerry Dwan and Dr Nuala Livingstone from the Cochrane Editorial Unit, and Prof Joanne McKenzie, Co-convenor of the Cochrane Statistical Methods Group. Technical support will be provided by the Cochrane Learning and Support team. Note that the workshop content will be the same as in the 'Common errors in meta-analysis – lessons and learning from Cochrane review screening programme' workshop delivered on Sept 14, 2017 at the Global Evidence Summit in Cape Town; on the Nov 16, 2017 Cochrane Learning Live webinar of the same title; and on Nov 23, 2017, at the Australasian Cochrane Symposium. Due to limited number of places on this workshop, we can accept only the participants who are actively working as editors in Cochrane Review Groups.